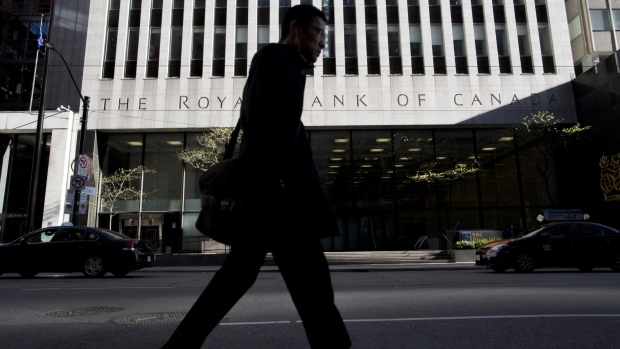 A former Royal Bank of Canada currency trader who was “put on the naughty step” and eventually fired after making repeated complaints about lapses in the lender’s compliance procedures won his London unfair-dismissal lawsuit. John Banerjee said in an interview that RBC promoted a culture of "indolence" where employees failed to sufficiently read through policies and when he pointed the fact out to senior managers, it lost him his job. The lender blamed his lack of punctuality. The bank’s culture was one of "indolence, frankly, and a feeling of arrogance," Banerjee said, adding that RBC simply wasn’t concerned with ensuring internal compliance with the rules. "Was I unusually zealous in doing this? Well it turns out yes, I was very unusual." The trader will learn the size of his compensation at a further hearing in December. RBC, which fired Banerjee in August 2016, saying he repeatedly turned up late for work, said it would appeal the ruling. Banerjee said RBC’s compliance culture didn’t go beyond a "box-ticking" exercise, that allowed employees to sign off on policy documents having barely read them. Pointing out a broken link to an internal policy document placed him on "the naughty step," he said. RBC failed to undertake a proper investigation and shut Banerjee’s complaint down, Judge James Tayler said in his ruling. "The bank’s actions thereafter were the opposite of their fine, but empty, words," Tayler said. RBC said in a statement today it encourages a "robust compliance culture which includes promoting the freedom for employees to speak up and blow the whistle." Whistle-blowing claims are frequently added to U.K. employment tribunal lawsuits to overcome an 83,700-pound ($109,000) cap on compensation for wrongful dismissal. Awards are normally limited to that amount unless a former employee can prove they were the victim of discrimination or had made a public-interest disclosure. The charity Whistleblowers U.K. was supporting Banerjee’s case. The Financial Times reported on the ruling earlier. Banerjee "is dogged in the extreme and, on occasions, chose the wrong battles to fight. No doubt, he was a thorn in the side of his management," Tayler said in his ruling. "Most people choose to stay silent when something is wrong, as they want a quiet life. Those who blow the whistle must have remarkable and, at times, exhausting determination." "I have been applying for jobs," Banerjee said. "And it’s quite clear rather like whistleblowers in any industry, but particularly in finance, I’ve been told that I won’t be touched with a bargepole. My career as it was, unfortunately, is over."